The third-grade teacher was shocked to find a number of foul words scrawled on the blackboard when she walked into the classroom. All eyes went to the blackboard. 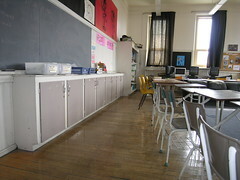 This entry was posted in Fun and Games and tagged Classroom, K through 12. Entering the arena of vulnerability.